Winlock is a small city in Lewis County with a population of about 1,400. It is well known for having the "World's Largest Egg", a 12-ft, 1,200 pound fake egg that is proudly displayed, reflecting its history as one of the country's top egg producers. This is a small, rural area just south of Chehalis and Centralia. Neighbors include small communities such as Toledo, Napavine, Ryderwood, and Salkum. 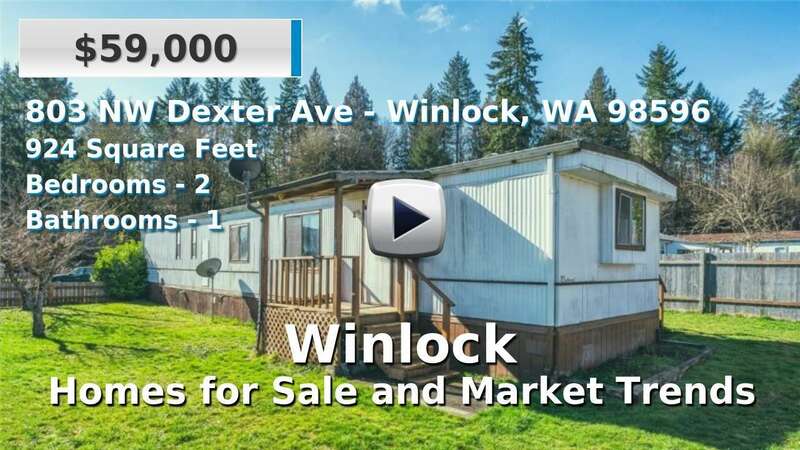 Homes for sale in Winlock are a bit older than the state average, but offer larger lots, if not acreage and have a typical commute of 25 minutes. 3 Beds | 1.75 Baths | 2394 sq. Ft.
3 Beds | 1.75 Baths | 1412 sq. Ft.
3 Beds | 2.25 Baths | 1636 sq. Ft.
4 Beds | 2.5 Baths | 1811 sq. Ft.
3 Beds | 2.25 Baths | 1850 sq. Ft.
3 Beds | 1.75 Baths | 1520 sq. Ft.
3 Beds | 2 Baths | 1168 sq. Ft.
1 Beds | 1.75 Baths | 1540 sq. Ft.